Data submissions and technical requests are administered through a Ticket System (JIRA issue and project tracking made by ATLASSIAN). For each request or submission an issue is created which is tracked during the workflow until it is ressolved. PANGAEA is an archive for any kind of data from earth system research and thus has no special format requirements for submissions. Data might be submitted in the authors format and will be converted to the final import and publication format by the PANGAEA editors. The data provider is kindly requested to keep the following points in mind to minimize the preparatory work prior to upload. For samples taken or measurements made somewhere on earth, the provision of position(s) is mandatory (latitude/longitude in decimal degree is preferred). If data are supplementary to a publication, the (preliminary) citation with journal title and abstract must be added. If data are related to a project (where PANGAEA is the designated archive) add the project acronym as label. 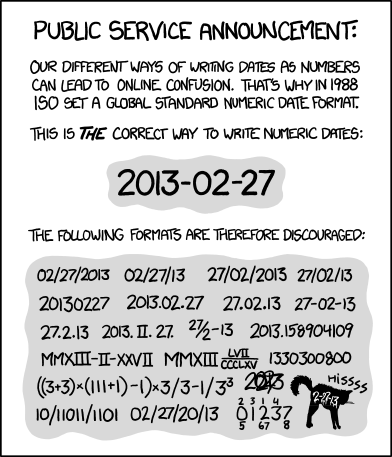 Date/Time must be provided in ISO-format (e.g. 1954-04-07T13:34:11). Parameters are always accompanied by a unit. Extended documentations may be added as plain text or pdf-file. Submit data tables as excel or tab-delimited text files; specific formats (e.g. shape, netCDF, segy ...) may be added in zip-archive. Preferred format for data tables is TAB-delimited TEXT-files (ASCII), submitted as ZIP-archive, or excel-format. Several tables with different format should be provided on different sheets. Several tables with identical format may be provided in one file (one data set below the other, event label in the 1. column). Parameter name with unit must appear in the header line (or PANGAEA parameter ID). Use proper event/site/sample labels, e.g. as defined during an expedition (if appropriate). Format for positions (lat/long) should be degree/decimal minutes (65°45.7'S) or decimal degree (-65.1234) (S and W are negative). Provide references by its DOI or (even better) as pdf; documentations should also be provided as pdf (documents will be stored in ePIC and linked via a handle). Numeric parameter columns must contain numbers only; exception see quality flags. Text parameter columns can be filled to a maximum of 255 characters per field. If the result of a scientific analysis is zero, the corresponding field in the data table must be filled with 0 (and not left empty). Fields without data should be left empty (and NOT filled with '-', 'n/a', -9999 or '*' etc). Remove empty lines and columns; those will not be imported. For documentation of the data publishing process, the workflow and related communication should go through the ticket system only. In case data are submitted through a project which has publication costs as part of the funding, PANGAEA would appreciate a financial contribution of 300.- € per data supplement of a publication. Other forms/amounts of data contributions can be negotiated (not obligatory at this stage). The following examples may give a first impression about the required information for data from specific scientific fields. The export formats may differ slightly. Please keep in mind, that the export format is dynamicaly produced by the relational database behind PANGAEA and thus it is NOT required to provide data submission in exactly this technical format; the content is the important part of the data submission. This page was last modified on 2019-03-20, at 10:52:04.